DealerEYE offers dealers, retailers, and their customers new levels of theft protection and marketing benefits through this amazing new technology built into DotGuard theft protection / parts marking labels and custom designed marketing programs. Using an approved smartphone app, simply take a photo of the DotGuard label containing DealerEYE embedded technology, and be directed straight to the website address embedded within the DealerEYE label in seconds. DealerEYE labels can be fully custom designed for any dealer and may point to any web address. Simple to use, yet highly effective for theft detection, parts identification, and additional dealership marketing benefits. Links DotGuard labels directly to police accessible national registration databases or other approved websites. Makes the identification of parts even simpler for owners and for police. DealerEYE is now available as an add-on feature with DotGuard direct and private label theft protection programs. DealerEYE turns any dealership brochure, newsletter, mailout, warranty form or any other marketing material into a completely interactive experience for the customer. 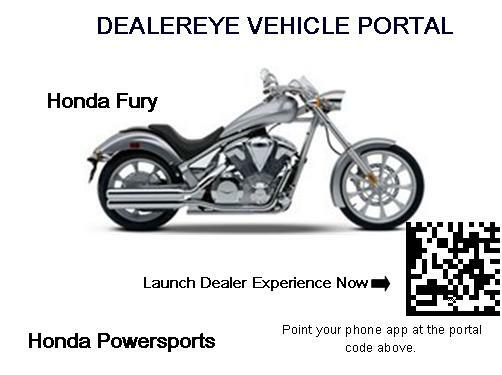 Simply add the DealerEYE portal code and let customers access your web site directly from their smart phone. Customers no longer need to remember your website address or contact details, just point and click - its that easy. 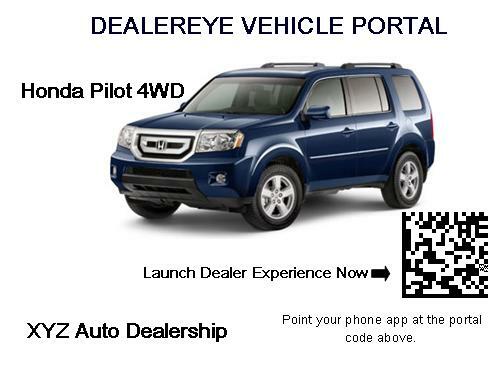 DealerEYE is now available as a Vehicle Portal whereby dealership vehicle cards containing embedded codes can be added onto cars in the showroom. Customers simply use their phones to link to the dealer's website or a pre-set online experience for a given vehicle. The vehicle portal program can be fully customized for your dealership and its marketing needs. Please contact DotGuard for more details and pricing on DealerEye programs.